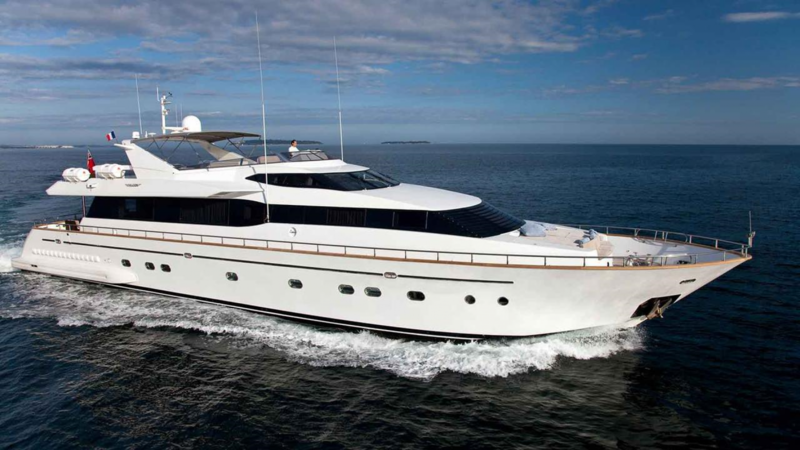 G-yachts is delighted to announce the sale of the 30.7 metre motor yacht SYNERGY. Built in GRP by Italian yard Falcon Yachts to a design by Stefano Righini and delivered in 2003, Synergy had a complete interior refit in 2010 with new entertainment and communication systems. She accomodates up to 11 guests in five well-appointed cabins including a master suite on the main deck along with a full beam VIP double aft, a double and two twin cabins, all with en suite shower facilities. The saloon is surrounded by wrap around windows creating a light and airy area with comfortable seating, a bar and an entertainment centre including a large flat screen television while forward is a formal dinning room with seating for 10 guests.